Spider-Man was the first hero that I was able to identify with at a young age. He was able to convince me that it was those who were often overlooked that had the most resolve among us. So an “Arkham Asylum” style game for Spider-Man left me enthusiastic at the chance to sling webs and deliver memorable quips. After playing the game and I was left with a desire for more Spider-Man. So when Sony released their downloadable content “Spider Man: The City that Never Sleeps” I finally I was able to sink my fists into more goons. The First chapter “The Heist” picks up right were Peter’s story left off dropping you right into a story line the built up by side quests introducing the Black Cat. This mostly serves as the first act to a larger story. My main criticism of this individual chapter is how short they actually are. As the story line in the main game was adequately explored; the pacing of this story seems rushed and mostly works only as a set up for later downloadable editions. The concentration of this first chapter should have been exploring the conflicted nature of the Black Cat as a character. Her principle motivation for her character in the past has been the admiration of her father and the deep need to find that validation she seeks. Although she is portrayed as a strong character, domineering of Spider-Man both physically and mentally, she is not given a clear motivation other than points to drive the plot forward. The biggest miss in this chapter was having the ability to play as Black Cat. With all the Mary Jane sneaking missions there really is no reason why we were not given a few missions to play as Black Cat. The Second Chapter Entitled “Turf Wars” was probably my favorite chapter out of the three because it explores the influence that Osborn employing Paramilitary Corporation Sable International has had on organized crime. It was an interesting spin as Hammerhead begins to raid Sable supply trucks to beef up his arsenal to wag war against the Maggia crime families. This is an inventive way to keep the plot grounded but also to give you enemies that are powered enough not to get bored with while button mashing. However as much as a good plot point this was in the second chapter it goes off the rails in the third chapter “Silver’s Lining”. This chapter has Spider-Man teaming up with a reluctant Sable to fight a Hammerhead that has undergone cybernetic modification. Where that might sound like a fresh and fun spin on Spider-Man vs mafia plot unfortunately it comes off as contrived and unoriginal. Over all the DLC is fun it gives you a bunch of new side missions and additional things to find across the city. However the plot line just seems like it is on auto pilot and plays like a cookie cutter button masher game. 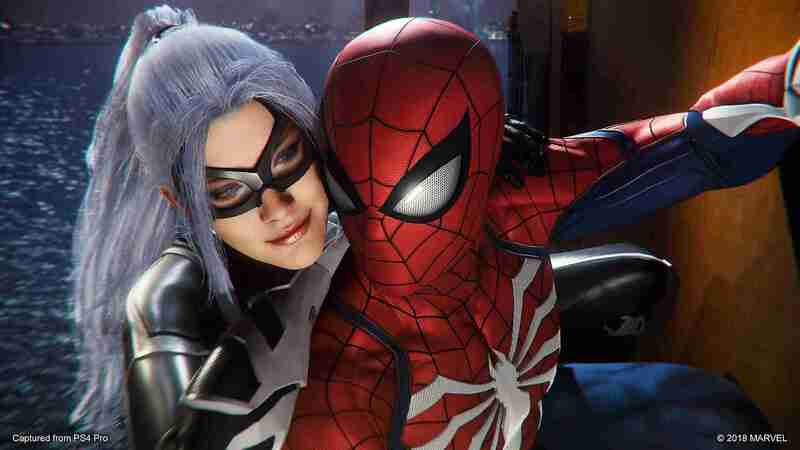 It fails to live up to the insanely high expectations the Spider-Man game has left but if you need to get your fix to sling web and beat up bad guys except there is no substitute. ‘Nuff said.